Where can I purchase or load funds to a card? PRESTO cards are available for a $6 issuing fee at prestocard.ca (allow up to five business days for delivery) or at any authorized PRESTO agents listed below. You must load a minimum of $10 or a monthly pass to your card at the time of purchase. You can load anywhere from $10-$1000 on your PRESTO card. 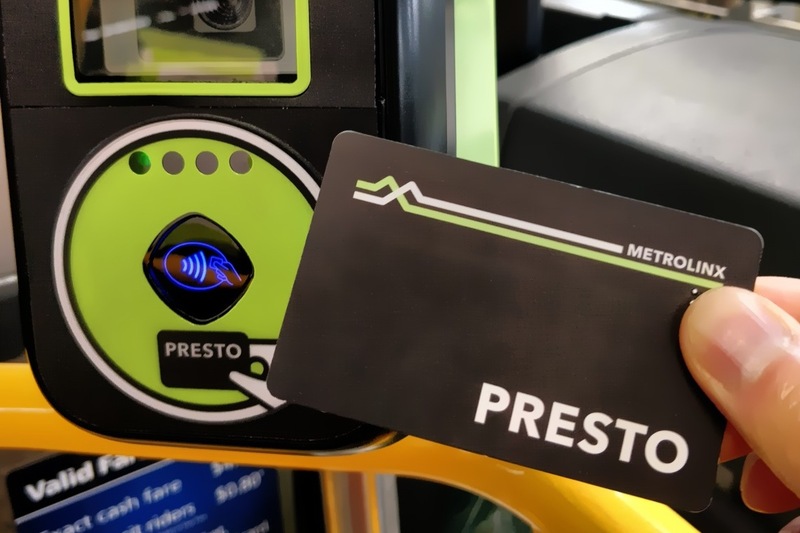 Funds can be loaded online at prestocard.ca, at an authorized PRESTO agent listed above or at the Oakville, Bronte or Clarkson GO Transit stations. Funds can also be loaded over the phone by calling 1-8-PRESTO-123 (1-877-378-6123). If you load funds online or by phone it may take 24 hours for it to appear on your card. Oakville Transit monthly passes can be loaded online at prestocard.ca or at one of the authorized agents listed above. Oakville Transit monthly passes cannot be loaded at a GO Transit station. If you load a monthly pass online it may take 24 hours for it to appear on your card. 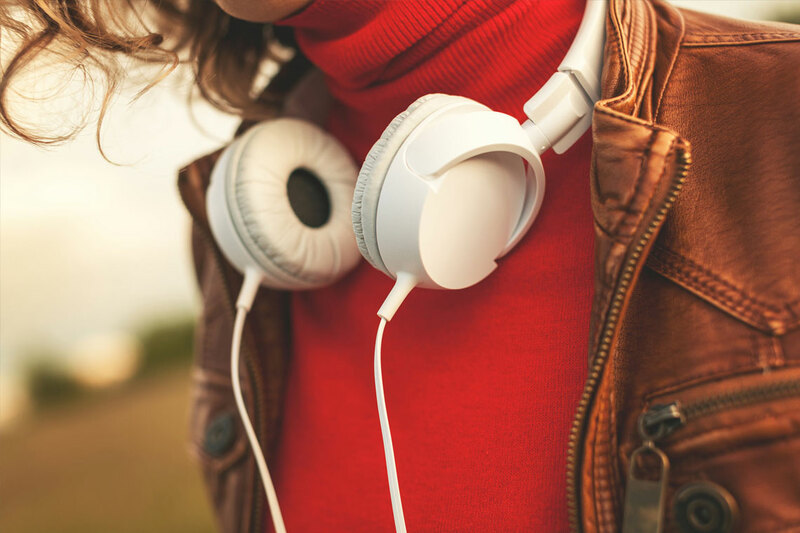 A monthly pass can be loaded up to seven days into the current month or 19 days prior to the next month. Monthly passes are non-refundable, non-transferable and cannot be converted to regular funds on the PRESTO card. Convenient autoload and autorenew features are also available for registered PRESTO card users. Funds and/or pass products will be added to your PRESTO card automatically when the balance falls below your preset minimum balance (must be at least $5). Visit prestocard.ca for more details. How does the card know if I am a youth, adult or senior? Purchase a PRESTO card online or in person. Program your card in person at an authorized PRESTO agent listed above. This cannot be done online. You only have to program your youth or senior PRESTO card once. Then you can load funds or a monthly pass online or in person at an authorized agent. When you tap your card onto a PRESTO device, a bus driver will be alerted to the type of card that is being used. A child fare applies to those six to 12 years of age inclusive. When a child cardholder reaches 13 years of age, the PRESTO card must be reprogrammed to a youth card at one of the PRESTO locations. Cards that are not reprogrammed will automatically deduct an adult fare. A youth fare applies to those 13 to 19 years of age inclusive. Can seniors still ride for free on Mondays with a PRESTO card? Yes, seniors (65 years and over) can ride free all day, on all routes every Monday. To ensure you are not charged, do not tap your card on the PRESTO payment device when boarding. Seniors are asked to be prepared to show proof of age if required. Can I use my PRESTO card on other transit systems? 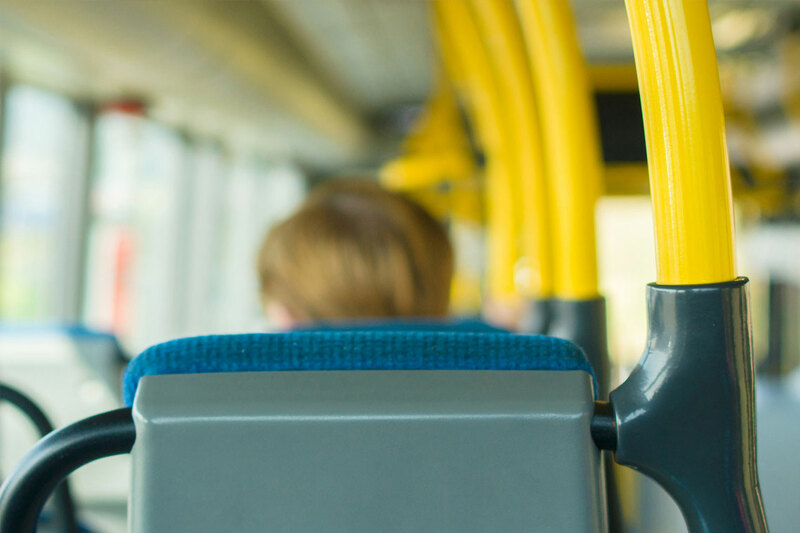 Yes, PRESTO is designed to allow you to move seamlessly across multiple transit systems such as Burlington Transit, GO Transit and MiWay. You can add funds and/or a pass product from one or more transit systems. Oakville Transit care-A-van riders are not able to use a PRESTO card at this time. Will I still get a co-fare discount when I take Oakville Transit to or from the GO Train? Yes, PRESTO will calculate the co-fare automatically. You have three hours to complete your travel between GO Transit and Oakville Transit. When you tap on an Oakville Transit bus, full fare is deducted. When you transfer to GO Transit, the co-fare discount is applied to your GO Transit fare. When you tap on an Oakville Transit bus, the PRESTO system can tell that you just completed a GO Transit ride and will charge you only $0.80 for the ride. Will I still need a transfer? With a PRESTO card you will no longer have to ask the driver for a transfer. PRESTO's smartcard technology recognizes your continuous travel each time you tap your card. 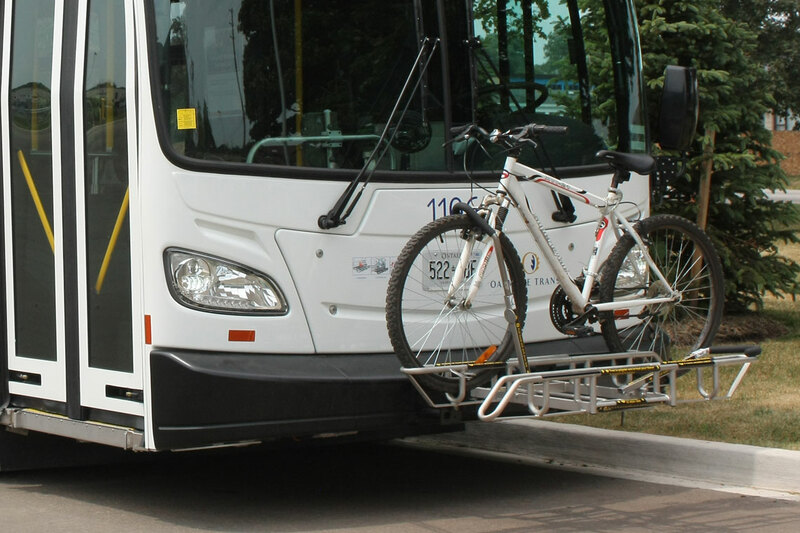 You will have a two-hour window to make bus connections, including transfers to Burlington Transit and MiWay buses. Can I use my PRESTO card to pay for an additional person? Yes, you can if you have enough funds loaded on your card. When boarding the bus, tap onto the bus PRESTO fare payment device as per usual and then notify the bus driver you wish to pay for an additional rider. You may pay for up to five additional people and each additional person will be charged the cash fare. Each additional customer will be issued a two-hour paper transfer. If you only have a monthly pass loaded on your PRESTO card, you will not be able to pay for an additional rider. I no longer need my PRESTO card. How do I obtain a refund? 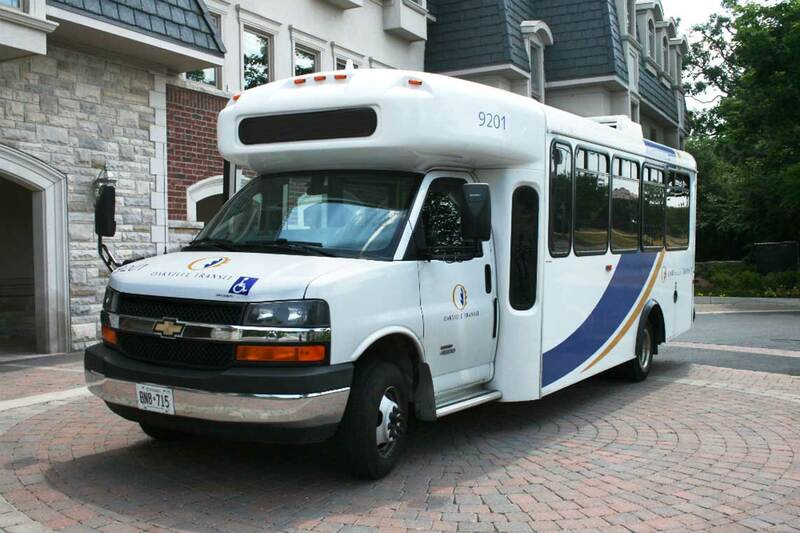 If the balance is less than $50, it can be refunded at the Oakville Transit office at 430 Wyecroft Road or at Oakville Town Hall at 1225 Trafalgar Road. You will need to present your PRESTO card and a completed “Form B” which can be found on prestocard.ca under Paper Forms. Please visit prestocard.ca for full instructions on how to obtain a refund of your card balance. Monthly passes cannot be refunded or converted to regular funds on the card. For PRESTO customer service and more frequently asked questions, call 1-8-PRESTO-123 (1-877-378-6123) or visit prestocard.ca.